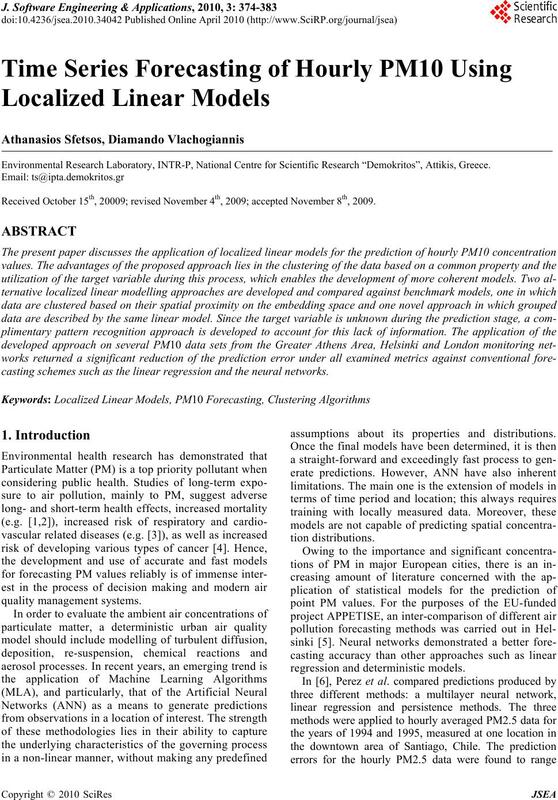 Environmental Research Laboratory, INTR-P, National Centre for Scientific Research “Demokritos”, Attikis, Greece. 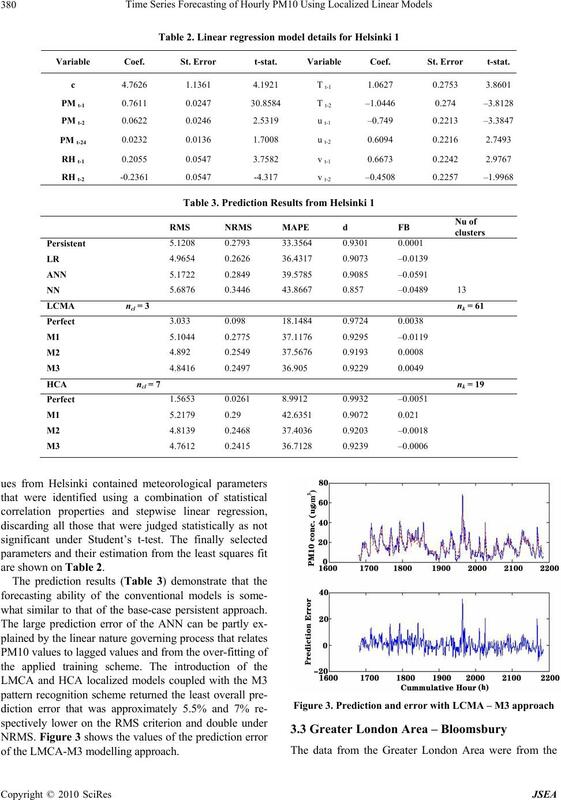 Received October 15th, 20009; revised November 4th, 2009; accepted November 8th, 2009.
casting schemes such as the linear regression and the neural networks. assumptions about its properties and distributions. tion of the hourly concentrations of PM2.5. temperature gradient and wind speed. input variable identified was the boundary layer height. extent by changes in anthropogenic sources. 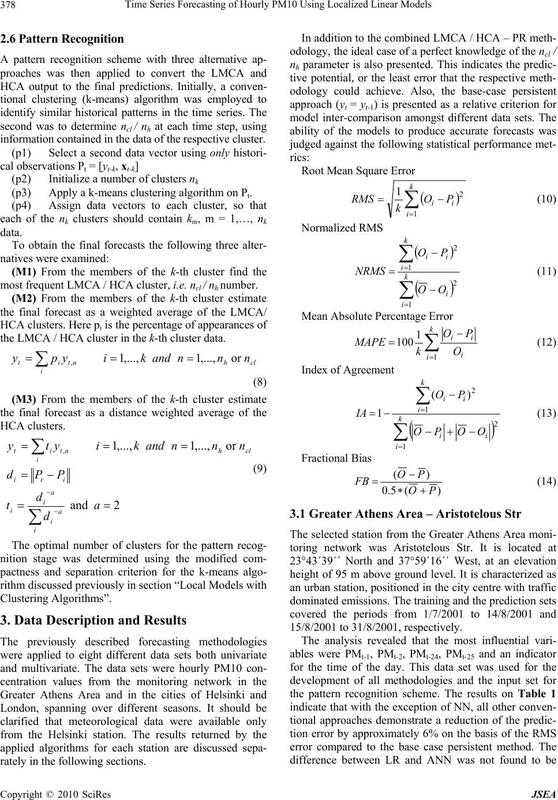 as the linear regression and the artificial neural networks. dure from a larger initial set. inputs and a neuron-specific parameter, called bias, b.
be sigmoid, linear or threshold activation functions. 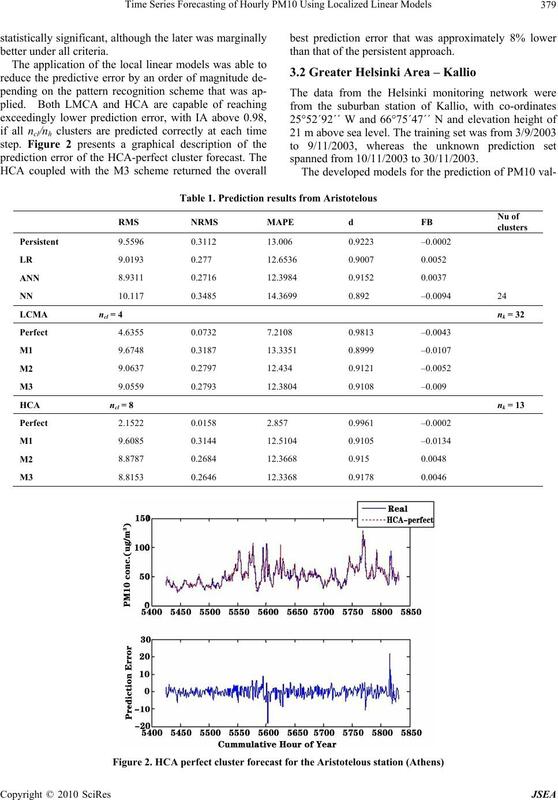 validation (ES) and the prediction or testing (PS) sets. tions are reached (Figure 1). tance measure may correspond to similar future values. tics of the series, as well as other relevant information. for this lack of information in the prediction stage. that ncl clusters will be estimated. competition  and hourly electric load . through the iterative optimization of a certain criterion. terminates when the cluster centres stop changing. centres, which is a measure of intra-cluster separation. 1) Determine the most important variables. 2) Form the set of patterns H(t) = [yt, yt-k, xt-k]. 3) Select the number of clusters nh. are generated and assign patterns. correlation coefficients of the data. the relationship amongst the members of a cluster. tion of the final forecast. malized combinatory expression of these two indices. information contained in the data of the respective cluster. 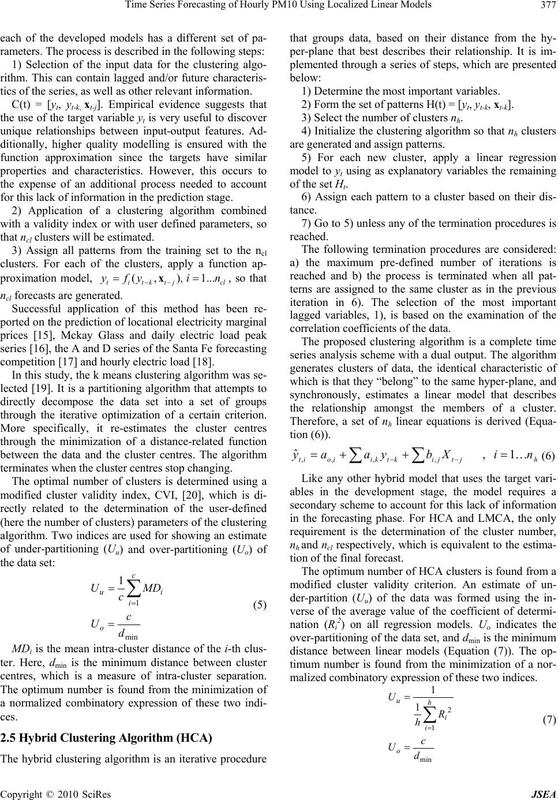 (p3) Apply a k-means clustering algorithm on Pt. most frequent LMCA / HCA cluster, i.e. ncl / nh number. the LMCA / HCA cluster in the k-th cluster data. rately in the following sections. than that of the persistent approach. spanned from 10/11/2003 to 30/11/2003. Variable Coef. St. Error t-stat. VariableCoef. St. Error t-stat. are shown on Table 2.
what similar to that of the base-case persistent approach. 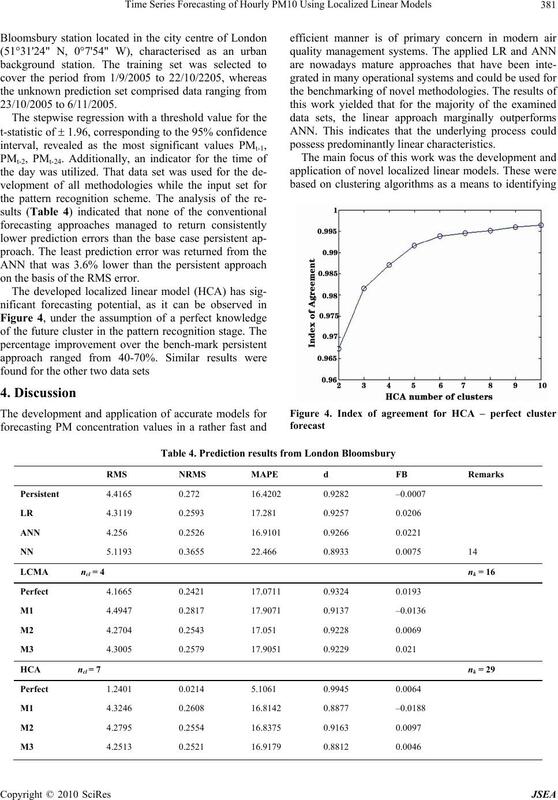 of the LMCA-M3 modelling approach. on the basis of the RMS error. count for this lack of information in the prediction stage. pared both to conventional approaches and the LCMA. British Medical Bulletin, Vol. 68, 2003, pp. 143-156. E. Samoli, A. Analitis, G. Touloumi, J. Schwartz, H. R.
J. Pekkanen,. P. Goodman,. A. Paldy,. C. Schindler and K.
Perspectives, Vol. 113, 2005, pp. 88-95. Vol. 109, Supplement 4, 2001, pp. 495-500. 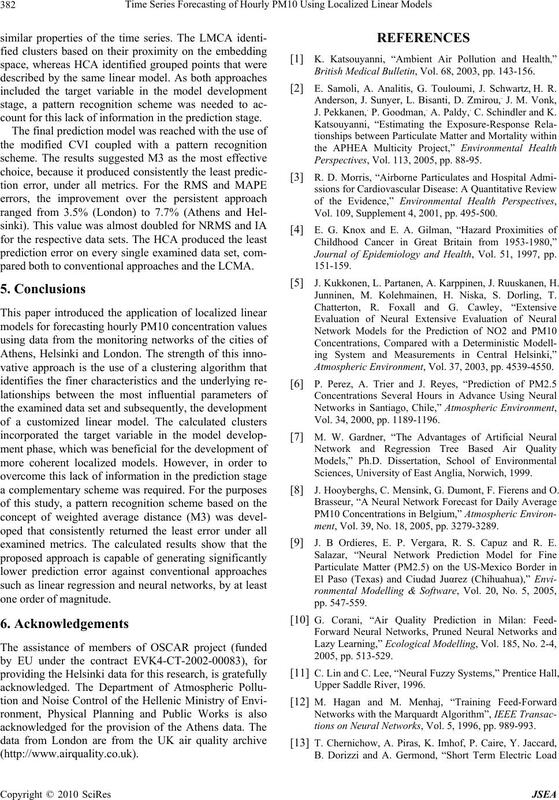 Journal of Epidemiology and Health, Vol. 51, 1997, pp. J. Kukkonen, L. Partanen, A. Karppinen, J. Ruuskanen, H.
Junninen, M. Kolehmainen, H. Niska, S. Dorling, T.
Atmospheric Environment, Vol. 37, 2003, pp. 4539-4550. Vol. 34, 2000, pp. 1189-1196. Sciences, University of East Anglia, Norwich, 1999. J. Hooyberghs, C. Mensink, G. Dumont, F. Fierens and O.
ment, Vol. 39, No. 18, 2005, pp. 3279-3289. J. 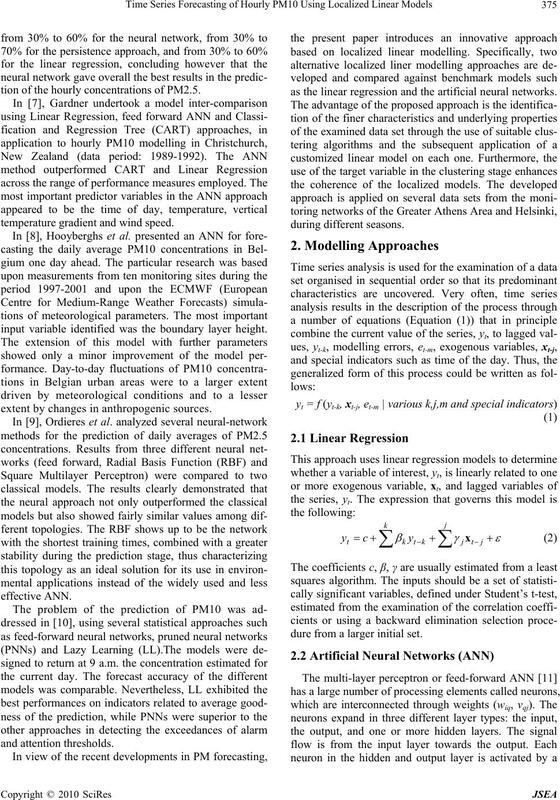 B Ordieres, E. P. Vergara, R. S. Capuz and R. E.
tions on Neural Networks, Vol. 5, 1996, pp. 989-993. Intelligent Systems, Vol. 2, 1996, pp. 85-99. Dynamics, Dynamic Patterns in Complex Systems,” In: J. World Scientific, 1988, pp. 265-292. Transmission Distribution, Vol. 149, No. 5, 2002, pp. 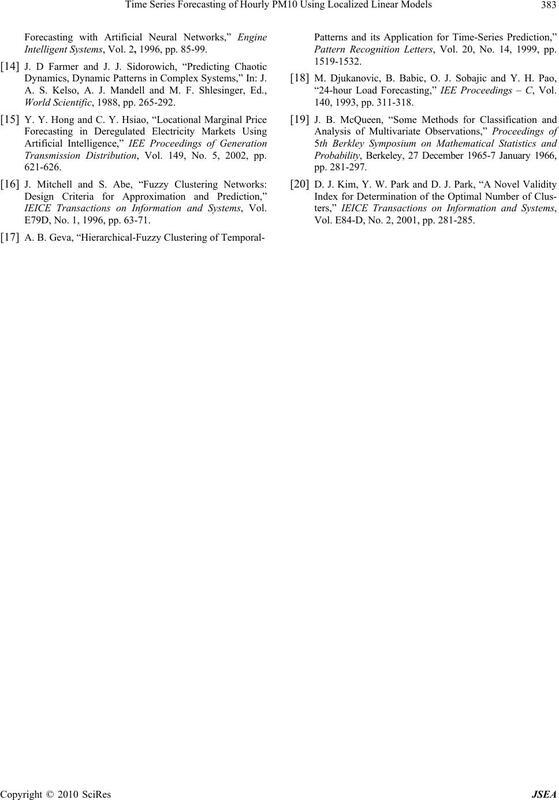 IEICE Transactions on Information and Systems, Vol. E79D, No. 1, 1996, pp. 63-71. Pattern Recognition Letters, Vol. 20, No. 14, 1999, pp. 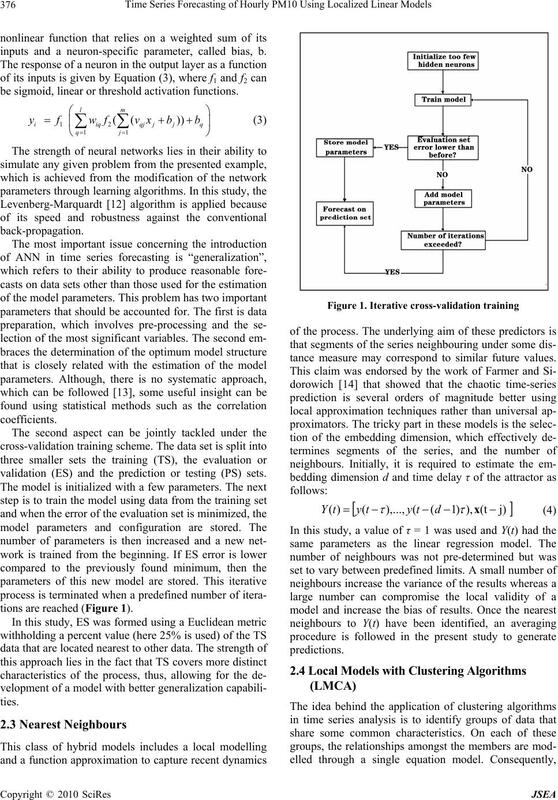 “24-hour Load Forecasting,” IEE Proceedings – C, Vol. Vol. E84-D, No. 2, 2001, pp. 281-285.